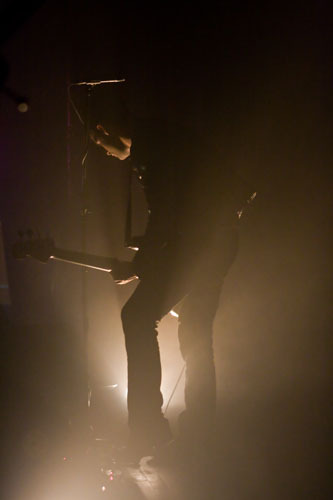 The Duke Spirit | True Endeavors Presents: music, tours, tickets, mp3 downloads, concert pictures, videos, Madison WI. 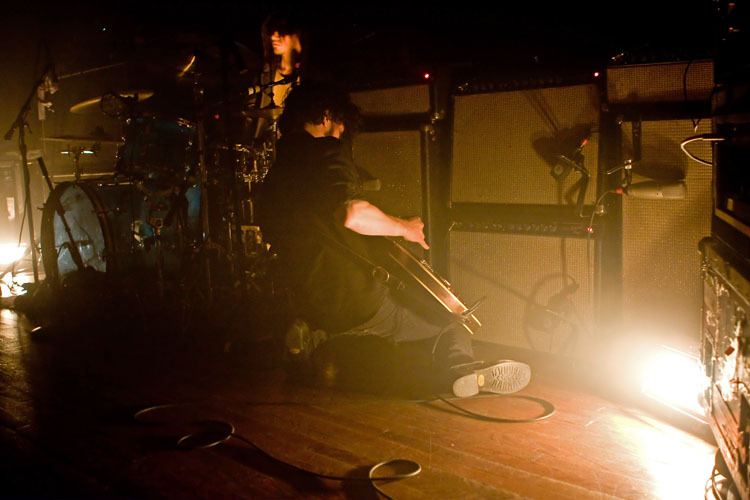 Following the successful side projects of many of the band’s members, The Strokes announced that they have finally begun work on their long-awaited fourth album. The Duke Spirit, who have played to Madison fans at several shows over the last year, announced plans to release their next album in an exclusive deal with Target stores. Along with the album’s release will come a clothing line inspired by the band’s frontwoman, Liela Moss. 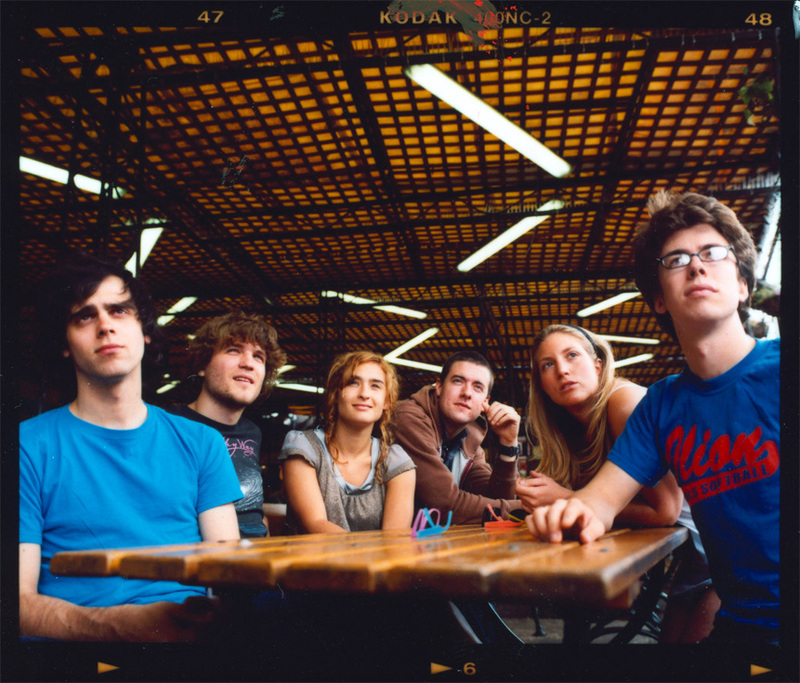 Stereogum is streaming Animal Collective‘s 1/20/09 show at the Bowery Ballroom. Click here to check it out! YouTube has begun using “overlay links” allowing users to purchase songs while viewing videos. Have you tried out this new feature? Do you like it, or is this kind of advertising too invasive? Death Cab For Cutie revealed their latest tour dates! Introducing The Artist Formerly Known As Kanye West! In strange-yet-true news, the hip hop megastar picks a new moniker for himself. True Endeavors artist Michael Franti recently completed a game of 20 questions for PopMatters.com. 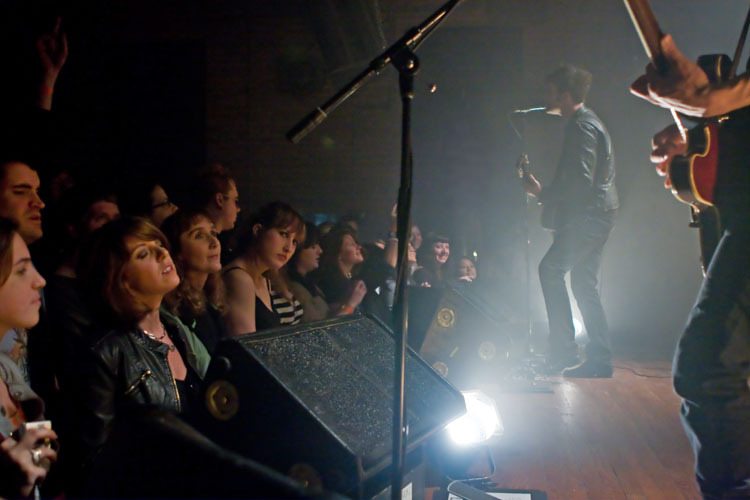 For all you musicians out there: How do you know if it’s time to find yourself a booking agent? Click here for some advice from HypeBot. Pitchfork reports that PJ Harvey recently completed the musical score for a new production of Hedda Gabler, a play starring Mary Louise Parker. Slash can’t party in his rock star lair. Lawsuit ensues while the rest of the world deals with real problems. Read exerpts from Rebels Wit Attitude: Subersive Rock Humorists, as author Iain Ellis details the role of humor in musical rebellion. Peter, Bjorn and John announced new North American tour dates! Check out TV On The Radio‘s cover of David Bowie‘s “Heroes,” from the upcoming War Child charity album, also featuring Lily Allen, Peaches, Hot Chip, Elbow and many more! 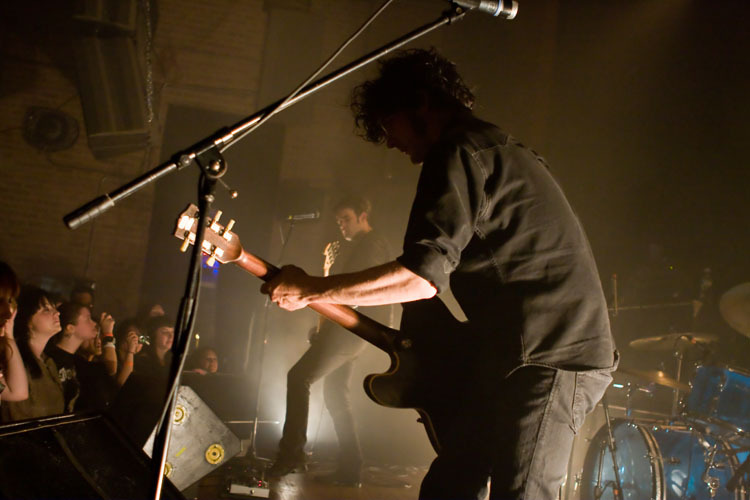 Black Rebel Motorcycle Club and openers The Duke Spirit rocked a packed house at the High Noon this May. Check out what the show was like or re-live the experience..
Media Roundup: Tegan and Sara rock Coachella, and more! 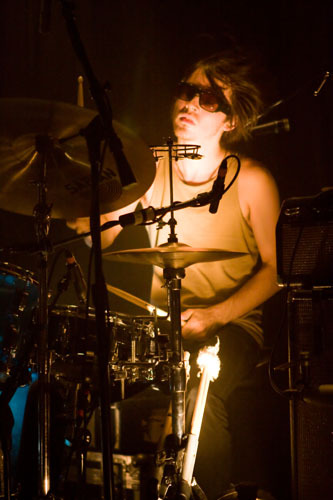 Coachella, the mother of all alternative music festivals, took place this past weekend, and even if you weren’t fortunate enough to take in the cornucopia of sounds from the California deserts, a number of outlets are providing extensive video, audio and blogging coverage. In addition to the headline-grabbing indie coronation of Prince and the chilling comeback performance of Portishead, a number of performers coming soon to Madison also made their mark. Taking a break from the midst of a tour that is selling out nearly every theater it touches, The Swell Season (Glen Hansard and Marketa Irglova) also performed an alluring set; a preview of what’s to come when the duo plays the Overture Center on Monday, June 16. The “Once” stars were recently featured in the San Francisco Chronicle discussing their newfound fame. Recent acts passing through town this spring, including Man Man, Vampire Weekend, Stars and Jens Lekman also played the festival. 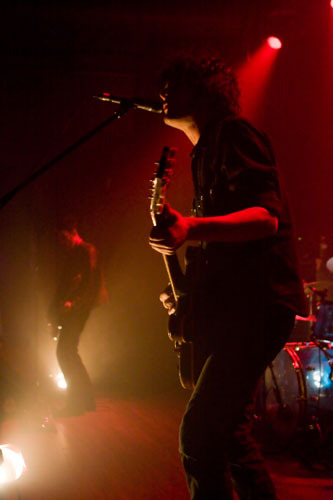 Black Rebel Motorcycle Club are currently touring around the globe and have been grabbing headlines from a decision earlier this year to part ways with its record label, RCA. They are currently going it alone, looking toward independent release options in the near future. 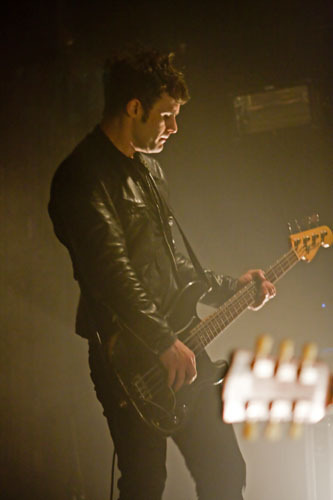 BRMC will be hitting the High Noon Saloon with guests The Duke Spirit on Saturday, May 3. Performing at the Annex the Sunday night following BRMC, Ra Ra Riot will be splitting a bill with The Little Ones for a $10 show — likely the last time Madison music fans will be able to see the up-and-coming indie-string-pop troupe, recently interviewed on GrooveShark.com, in such an intimate venue. In other news, we are happy to announce that Madison fave Lyle Lovett will be passing through down this summer — on Sunday, July 13, at Overture Hall. The Capitol Times wrote a nice preview of the show, for which tickets went on sale this past Saturday. And that’s it for now. Tickets for many of the shows mentioned above are still available from TrueEndeavors.com. See you at the shows! Not excited about the beginning of the work week? Lets start it out then with a pair of free concert tix..feel better yet? The Medic Droid is for those who are bored with genres and titles. Full of sassiness and attitude, this trio fuses dance music with indie rock power and punk rock DIY ethics, The Medic Droid have created their own scene. How A Cursive Memory Became Bandarazzi! SPECIAL EARLY SHOW With guests SINGLE FILE and THE WHITE TIE AFFAIR Tuesday 6:30 pm (doors open 6:00 pm) @ Orpheum Stage Door 608.255.8755 $8 / $10 dos – all ages BUY TICKETS NOW! Tickets also available at Strictly Discs! The 4th person to email MJ@TrueEndeavors.com with the subject line TMD & ACM Tix will win 2 guest list spots to this show. With special guests THE DUKE SPIRIT Saturday 9:30 pm @ High Noon Saloon 608- 268-1122 $16 adv / $18 dos – 18+ BUY TICKETS NOW! Be the 5th person to email MJ@TrueEndeavors.com with the subject line “Win Rebel Tix” and you will receive 2 guest list spots to the show!